Save time by downloading our New Patient Forms before your first visit. Please make sure you have your records with you or sent to us prior to your visit. Click here for Request for Medical Records Form. If you are a bariatric patient of Dr. Daly please download his Medical History Form. 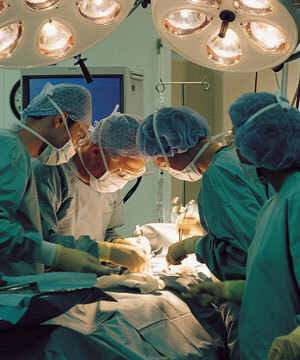 Many of our procedures require the use of another Surgeon and or a Physician Assistant. The Physician Assistant Form needs to be completed as well. Please download, print, complete and bring all forms with you to our office. We will expect payment at the time of service in full or as designated by your insurance plan. As a convenience for you, we accept cash, check, MasterCard, Visa, American Express, Discover or debit card as payment options. Our goal is to participate in as many of the most popular insurance plans as reasonably possible. It is very important that you become familiar with your insurance plan and understand its benefits. Certain plans have restrictions on certain services and providers. It is your responsibility to understand your plan’s restrictions and limitations. If you have any questions regarding your coverage, health benefits, health restrictions, payment determination, or provider participation, you will need to contact your insurance company directly. As a courtesy, we will be happy to file your claims. Your most current insurance card must be presented at each visit. If you have not satisfied your deductible, co-insurance or have a co-pay as part of your insurance contract, you will be asked to pay this at the time of your visit.